Hey guys really looking forward to checking out the games. I will be taking at look at them during the weekend and reaching a decision on Monday. yeah still going on. I think most people are working by themselves which is cool. How's your progress going ? https://discord.gg/8X7zWYs this link should work to the server. Is ok to have an early start as long as the game is submitted by the due date. Some might argue this to be unfair but I think the point of a jam is not to win but to improve your craft. Wherever that goal is creating your first game or getting better at making games. So totally go for it. Hey guys, looking forward to the jam. If you have any questions feel free to post them here. Thank you, glad you enjoyed the game. Really fun game, great job on the animation and camera work. One bug : my character gets stuck after pressing X a couple of times. Nice !! it was definitely intended to be a runner. You can see this on the early builds but it kept feeling like something was missing. Originally, the jumping was a bug, but I ended up liking it. Its crazy hard if you play it as a runner, but flappy bird style that's when it gets fun. Specially when you have to maneuver through the enemies. Thank you Securas, glad you like it. Holland did the sound, he is a really talented musician. This is really cool man. I love the mechanic and sentiment behind it. Are you going to continue working on the game ? this game mechanic has potential to do some cool stuff. Great job man, camera is very smooth. I like the animations that appear when you throw the object to the walls. Congrats on your first game !!! Great work on the game !!!! This is hilarious, love it !!! Really fun, great work. I also did an endless runner, really like your take on it. Game Off community · Replied to Holland in I'm a Composer! thank you sir, I'm backslash on discord. Whats your handle ? really enjoying Oceanum Tenebris & Somnium by the way. are you in the discord channel ? The game is an endless runner in which you play as a glitch who’s committed to finding his meaning in life. The gameplay would involve a fast pace in which you battle enemies as you go. I was wondering if would come come up with something that's fast pace, easy on the ears, and fits the mood. Game Off community · Posted in I'm a Composer! I sure do, are you still available ? I'm creating a endless runner called Glitch. Game Off community · Created a new topic Artist Needed !! 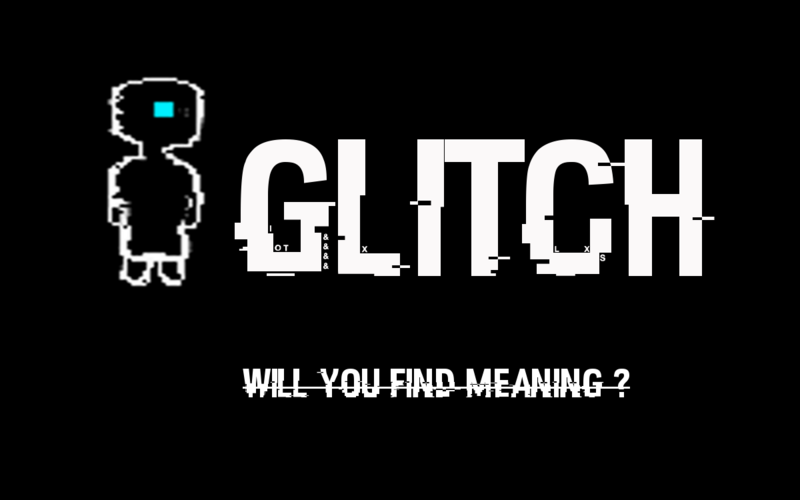 Hey guys, I'm a dev and I'm creating an endless runner called Glitch, The idea is that you okay as a glitch who’s committed to finding his meaning in life. I already have a composer, and all the mechanics for the game are created. We just need to clean up the main character above , create opponents, and of-course I'm open to suggestions. Are there any artist out there looking for a team ?